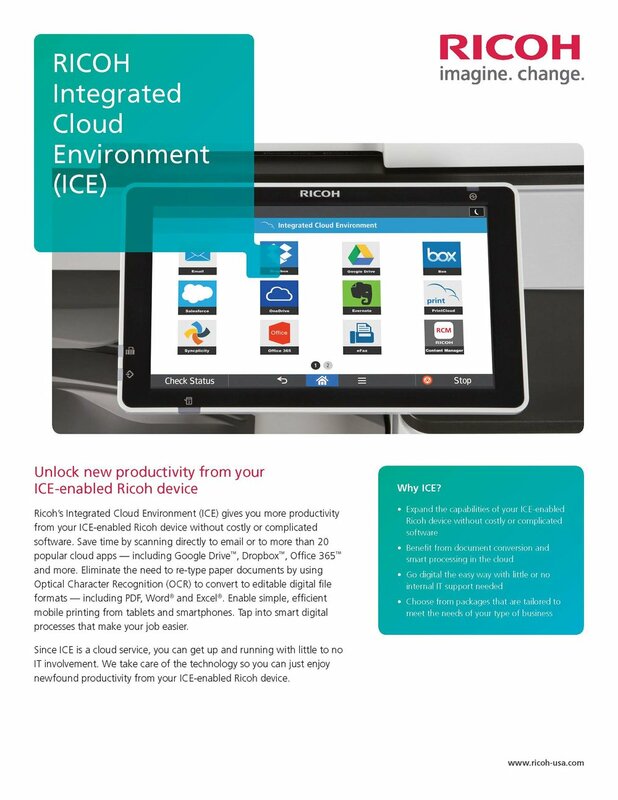 Integrated Cloud Environment (ICE) by Ricoh is a solution package that's engineered specifically for every industry. It's designed to simplify your workflow by equipping your print device with cloud connectivity, which will save you time and money. No extra equipment needed - just a simple installation on your printers. Fill out this form to try ICE for 60 days free with no obligations! We'll get you set up shortly!